Here are the top 9 joint pain supplements of 2019. Learn which supplements can help ease your joint pain. There have been several myths and facts about joint pain supplement. One of the facts is that there are several types of joint pain supplements which help in easing joint pain. It is also a fact that many joint supplements have side effects and some can even make your condition worse. Some joint supplements can help you feel better temporarily while some can help diminish your symptoms completely. Can Supplements Cause Joint Pain? Joint Pain Supplements – What to Consider? Flexoplex is our top-rated joint supplement because of many reasons. It is a maximum strength joint health formula made only from natural ingredients that are clinically proven to be effective. It acts quickly since it contains natural anti-inflammatory agents like rutin. It also contains other ingredients that are clinically proven like glucosamine sulfate, chondroitin sulfate, and MSM. These ingredients are proven to assist in the rebuilding process of the joints for permanent joint pain relief. It is so effective that it is being offered with a comprehensive 60-day money back guarantee so anyone can try it risk-free. 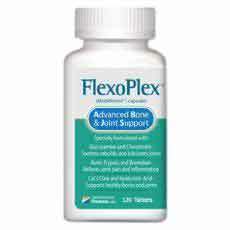 One bottle of Flexoplex is being sold for $39.95 so it is also one of the most affordable joint pain supplements on the market. To learn more about Flexoplex, please click here. 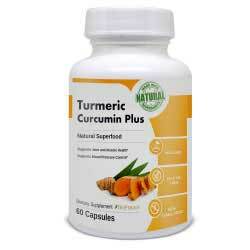 Turmeric Curcumin Plus is a dietary supplement that boosts the overall health. The main ingredients turmeric provides anti-inflammatory effects thus reducing swelling and inflammation in the body. Hence, using this supplement can aid in offering relief from joint aches, osteoporosis, and arthritis. This formula helps in boosting the immune system due to the antioxidants in the natural product. Also, this supplement promotes a reduction in blood pressure and the cholesterol level thus improving the overall wellness. In addition, this product boosts the rate of metabolism thus stimulating fat loss. This product is available online and costs $23.95 per bottle. Each bottle contains 60 capsules, and the user can take two to four tablets depending on the body requirement. To learn more about Turmeric Curcumin Plus, please click here. ProJoint Plus is a natural herbal formula designed assist you achieve healthy joints and flexible mobility. It is made of all natural ingredients that are precursors for formation of connective tissues such as cartilage, tendons and the joint lubricating fluid. ProJoint Plus is presented in a container carrying 60 capsules per bottle which equates to 20 servings. This product is FDA approved and has ingredients claimed to have been researched extensively in Harvard Medical School, Mayo Clinic, and Arthritis Clinic. Taking 3 capsules a day of this ProJoint Plus is associated with cartilage health and joint mobility and healing of the injured joints. To learn more about Projoint Plus, please click here. 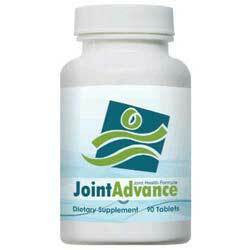 Joint Advance is a natural herb formula tailored for relief of joint heath problems. It contains natural herbs, which are easily metabolized by the body cells, this ensures that the toxic effects are manned with ease. Joint Advance is natural and prescription is hardly needed. It acts best in the short bones of the body such as fingers, knees, and elbow. Manufacturers argue that this product is applicable to all ages and its effectiveness compared to other prescription drugs in pharmacies. Joint Advance formula is available in a wider platform including Amazon. A 90 pills bottle could cost you approximately $ 39.95 on Amazon. The prices vary slightly on other platforms. To learn more about Joint Advance, please click here. Eazol Pain Relief is a multifaceted dietary supplement, which relieves several conditions affecting joints. It specifically relieves joint pains, reduces inflammation and eases the symptoms of rheumatoid arthritis and osteoarthritis. 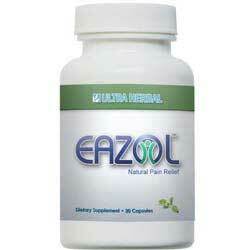 Ingredients used in Eazol Pain Relief formula are natural and are obtained from natural herbs. The manufacturer states that the ingredient has scientifically been proven non-toxic to humans. This makes Eazol safe human use. It can also be used by vegetarian and vegan. Each ingredient has been shown to act differently but conjointly relieve multiple conditions arising from musculoskeletal aches Eazol Pain relief is encapsulated, and the recommended dosage is two capsules daily with water immediately after meals. To learn more about Eazol, please click here. Supple is another impressive joint pain supplement. It comes as a delicious drink and also contains glucosamine and chondroitin sulfate. It also contains other nutrients that help improve joint health like vitamin C, vitamin D, B vitamins and calcium. The only problem with this product is that it doesn’t contain anti-inflammatory ingredients so it doesn’t offer fast joint pain relief. This is particularly the reason there are some negative customer reviews for Supple online. It would take a few weeks before joint pain relief will be experienced by the user. There is also some customer feedback saying it isn’t very effective. It is also a little pricey since a 48-day supply costs $99.95 plus shipping. 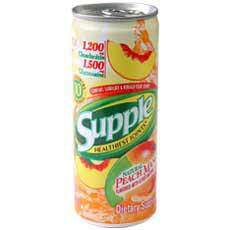 To learn more about Supple, please click here. Osteo Bi-Flex is another above average joint pain supplement offering different formulations for different joint pain problems. It comes in triple strength, double strength, joint & muscle and many other variations. It is one of the first joint supplements on the market and there are many positive customer feedback and reviews from people who have tried it. One downside is that there is some customer feedback saying it doesn’t work quickly. It isn’t offered with a money back guarantee which is another disadvantage of the joint supplement. 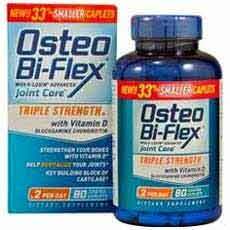 The price of Osteo Bi-Flex is around $20 for a bottle that lasts approximately two months so it is a very affordable joint supplement. To learn more about Osteo Bi-Flex, please click here. 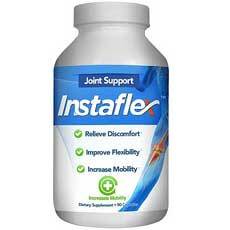 Instaflex Joint Support is a high-quality joint supplement which is the reason it is being distributed by renowned supplement retailer GNC. It is also available from other known retailers like Vitamin World, Drugstore.com and thevitaminshippe.com. It contains glucosamine sulfate, MSM and a blend of herbs that address joint pain. The problem with this joint supplement is that there are some negative reviews from customers saying joint pain relief takes some time. Also, some of the active ingredients are not really proven to be effective in relieving joint discomfort. One bottle which lasts approximately 30 days is being sold online for $69.99. To learn more about Instaflex, please click here. TFX-Flex is another joint pain supplement being distributed by renowned retailer GNC. It offers a new approach to providing joint pain relief. It claims to be 2X more effective than glucosamine and chondroitin supplements. Its primary active ingredient is Type II Collagen which is said to be more effective compared to regular glucosamine + chondroitin supplements. It also contains herbs that are known to help relieve joint pain like white willow bark extract, ginger root, Boswellia renin extract and turmeric root extract. 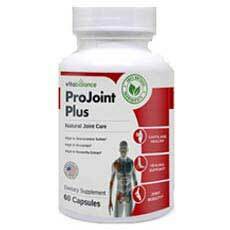 The problem with this joint supplement is that it is not effective in all cases of joint pain for unknown reasons. There is still not enough evidence that Type II collagen effectively relieves joint pain since there are only very few studies conducted on it. A bottle that lasts approximately one month is being sold for $59.99 on the GNC website. To learn more about TFX Flex, please click here. According to Shawn Plank, MD, an integrative medicine physician with the University of Pittsburgh Medical School Centre for Integrative Medicine you need to take a whole body approach to treat arthritis pain. Plank says that your lifestyle plays a major role in reducing joint pain. It is advisable to lose weight so that it cannot put pressure on joints which can result in joint pains. You should also regularly get involved in an exercise which will make your muscles strong. Strong muscles are able to support the joints and make them flexible. Taking anti-inflammatory diet can also be helpful in reducing inflammation. Foods that contain omega-3-fatty acids have the anti-inflammatory agents. Plank says that taking medication can help in easing arthritis joint pain and to other people supplements can help in providing extra relief that the drugs can’t provide. You should discuss your condition with your physician so that you can know which supplements suit you. This is because some joint supplements can cause allergies, interact with other drugs and can have harmful side effects. Glucosamine sulphate/Chondroitin Sulphate: Glucosamine is usually found naturally in the joint cartilage. The supplements are usually made from shells of crabs, shrimps, and lobster. Glucosamine helps in slowing down the breakdown of cartilage, reduce the joint pain and help in improving the joint mobility. Chondroitin is also found in the bone and cartilage. Chondroitin sulfate supplements are usually made from cow trachea and pork by-products. Chondroitin helps in reducing joint pain and inflammation, improving joint function and slowing down the progression of osteoarthritis. Chondroitin also helps in keeping the joints lubricated by helping the cartilage to retain water. Vitamin D3: Vitamin D promotes the absorption of Calcium which is used by the bones. Vitamin D can be found in many types of food such as orange juice, sardine, dairy products, fortified cereals and egg yolk. Vitamin D can also be made in your body when you are exposed to direct sunlight. Vitamin D can also be found in form of supplements. Omega 3: Omega 3 fatty acids are found naturally in soybean oil, canola oil and walnut and some fish such as salmon and tuna. Omega 3 supplements help in the production of chemical acid that helps in controlling joint inflammation. Calcium: Calcium plays a major role in the formation of bones, therefore, you should ensure you have enough Calcium in your body. You can get Calcium from several types of foods but if you are not able to get the Recommended Daily Intake from your diet you should get natural calcium supplements. Other supplements that have been recommended are turmeric, green tea, ginger, S-adenosyl-L-methane (SAMe), Devil’s Claw, methylsulfonylmethane (MSM), bromelain, vitamin E and stinging nettle. Yet another common myth about joint supplements is that the more you consume certain supplements, the better the effects. Believe it or not, some supplements can cause joint pain. But, how? Overconsumption of certain vitamins and minerals can be counterproductive. Basically, it is more common for the general population to consume some vitamin or mineral in excess than it is to be deficient, especially for people who take vitamin supplements. Some vitamins, such as B-complex and vitamin C, are water-soluble. When you take too much, the body simply expels the excess. On the other hand, vitamins such as A, D, E, and K all of which are beneficial for joint pain are fat-soluble. Excessive consumption makes the body hold the excess, it doesn’t flush them. This impairs their effect. That’s why doctors advise us to consume only a recommended amount of vitamins. Joint pain supplements help avoid this effect because they contain the precise amount of these vitamins you need, no excess. Before taking any joint pain supplement you should ensure it has proof of solving your problems, the supplements can be found in large pharmaceuticals, the product has little or no side effects, the product gives you building blocks for the joints and ingredients of the product have been tested and are of quality. Before you start using joint supplements you should ensure you get the nutrients and vitamins from your diet first. This is because many joint supplements have side effects which can result in other complications. 3. Shawn Plank, MD, integrative medicine physician, University of Pittsburgh Medical School Center for Integrative Medicine. 4. Arthritis Foundation: "Tip-offs to Rip-offs, Common Therapies to Consider, Supplement Guide-Osteoarthritis, Supplements to Avoid." 5. Natural Standard: "The Authority on Integrative Medicine." 6. WebMD Medical Reference: "How Much Calcium?" 7. Rozendaal, R. Annals of Internal Medicine, Feb. 19, 2008, vol 148: pp 268-277.